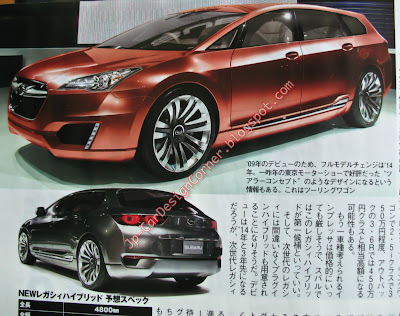 Back in January, Mag-X published a rendering of the new Legacy (earlier post), which is expected to be launched in 2014. 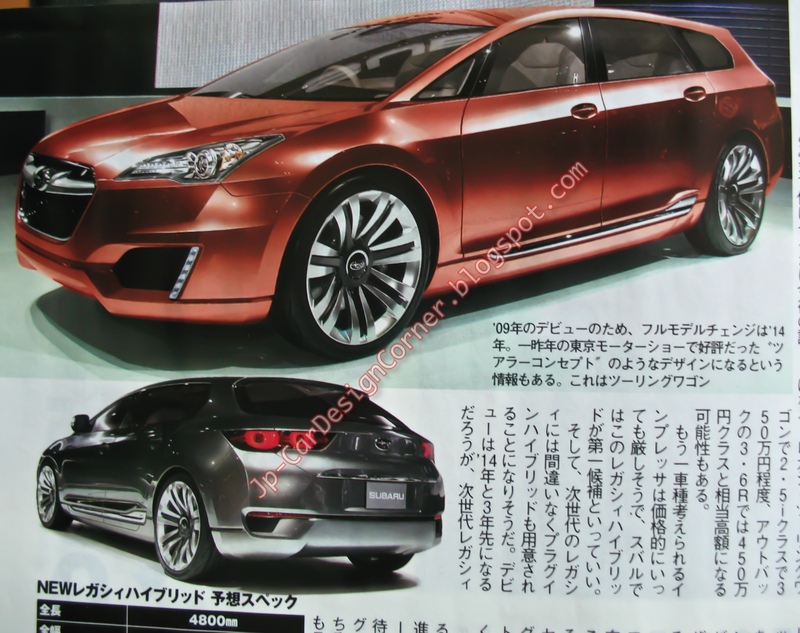 Now, it's BC's turn and this is the rendering from the latest issue. According to the article, power is likely to come from a 3.6L boxer engine (EZ36) with a power output of 250 ps and 30.5 kgm of torque. 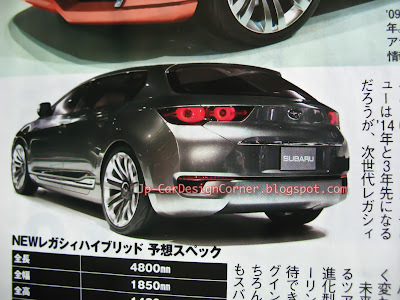 A fuel efficiency of 16.0 km/L seems realistic and prices should be around ¥ 4,500,000. Cool, maybe the Legacy will get a STi version, to compete against the Opel Insignia OPC and the Audi S4.